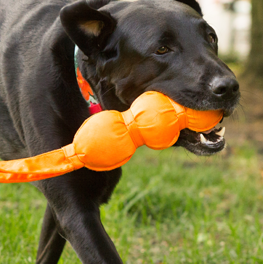 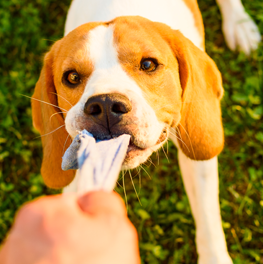 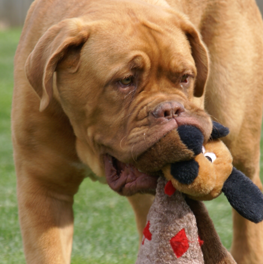 Dogs need to play, and an epic game time session of classic fetch and tug never gets old! 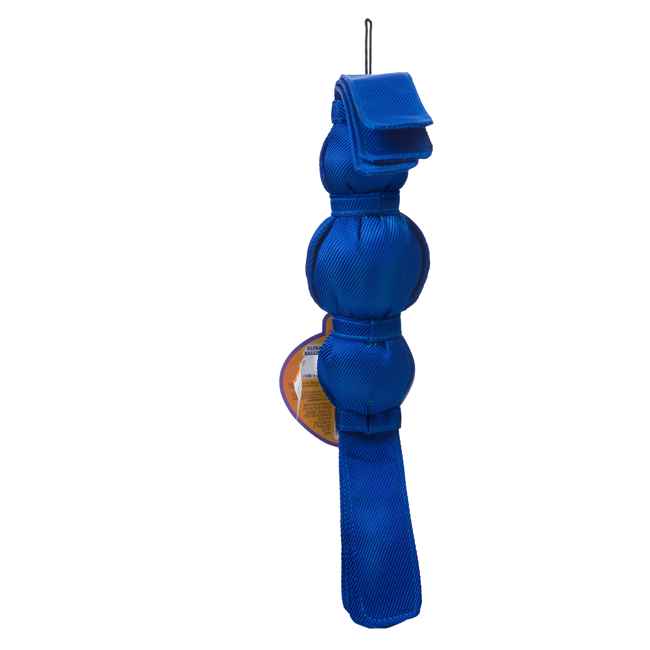 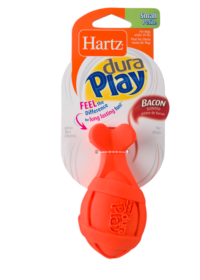 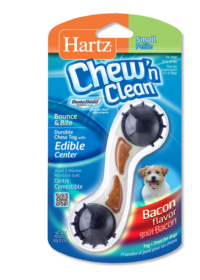 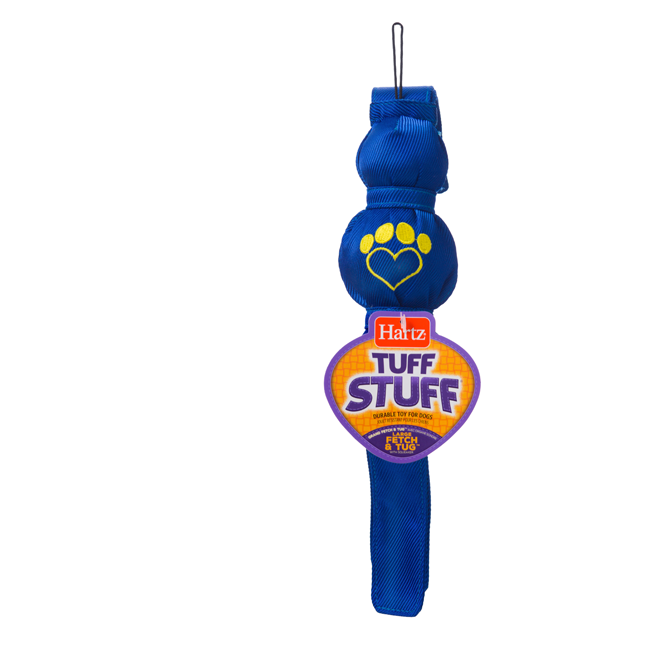 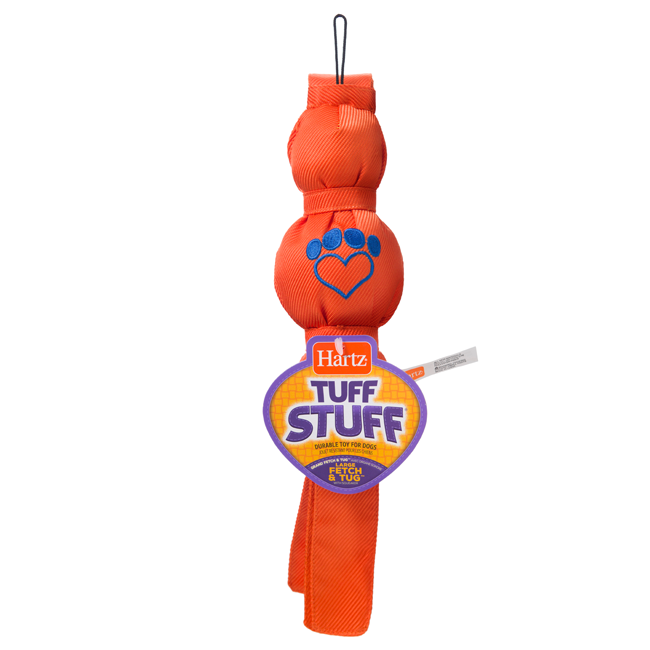 Expend your waggy one’s endless energy with Hartz Tuff Stuff. 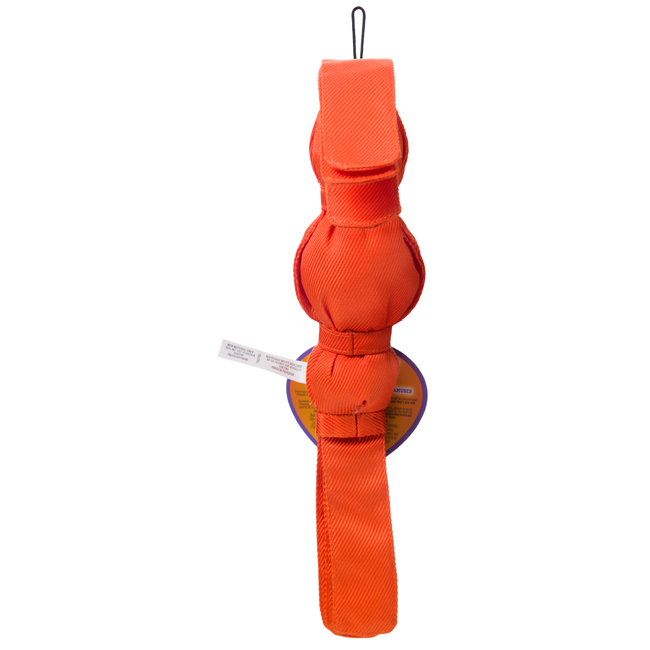 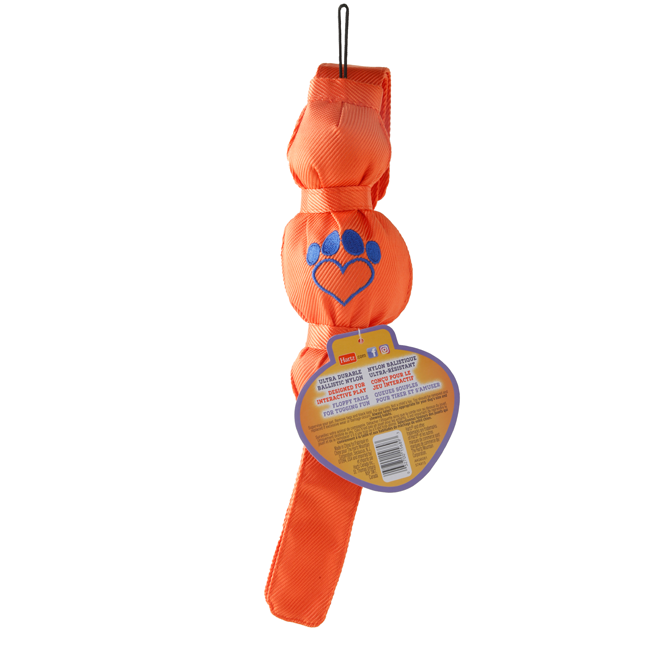 Crafted from durable, ballistic nylon, the Fetch & Tug is made for ruff-housing with your best pal. 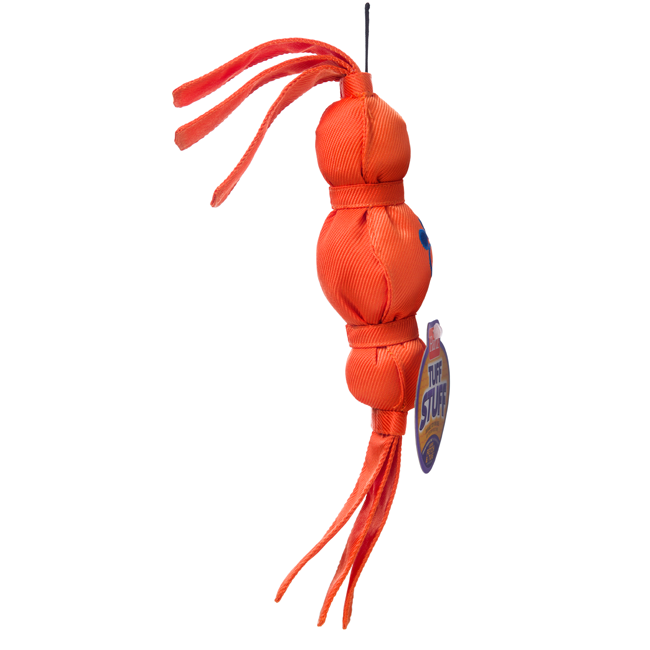 The three floppy tails at each end add dynamic fun to playtime, making it easy to throw, toss and grab a hold of. 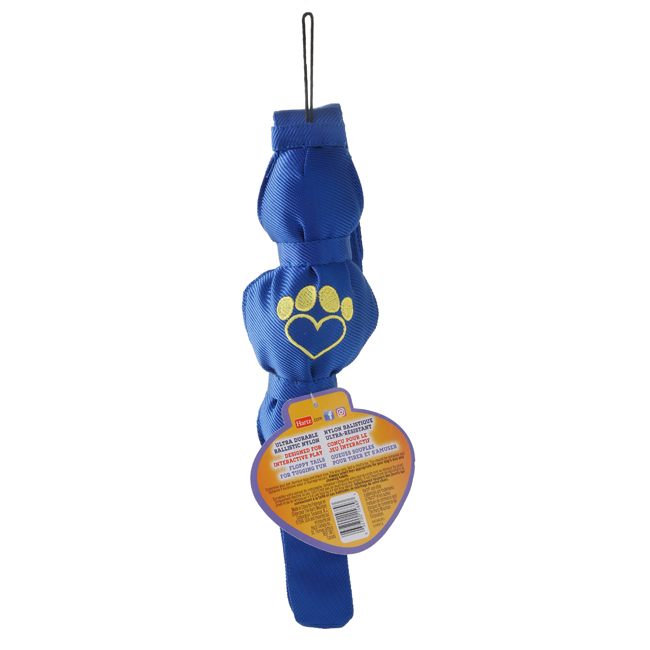 The middle chamber contains a squeaky ball that will entice playful pups and cause instant excitement.